← Why You No Married? 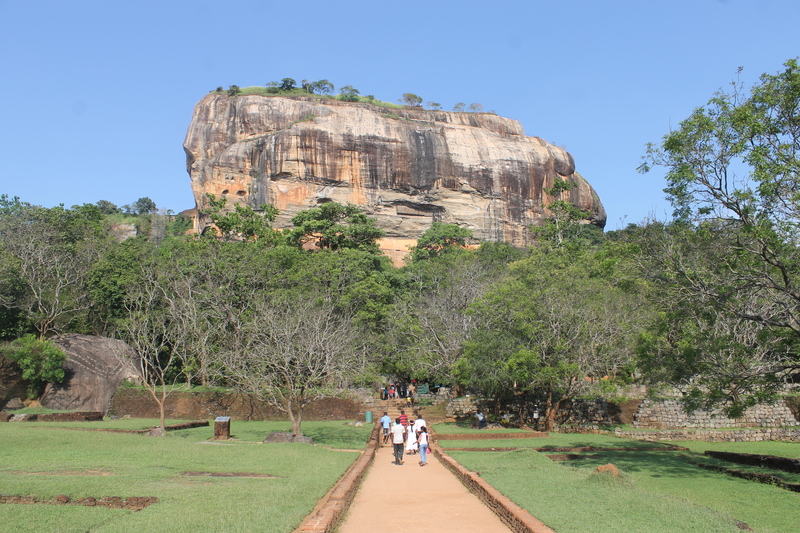 I managed to climb this monstrosity, keeping pace with a 72-year-old Sri Lankan man who I swear was gloating ever-so-slightly. 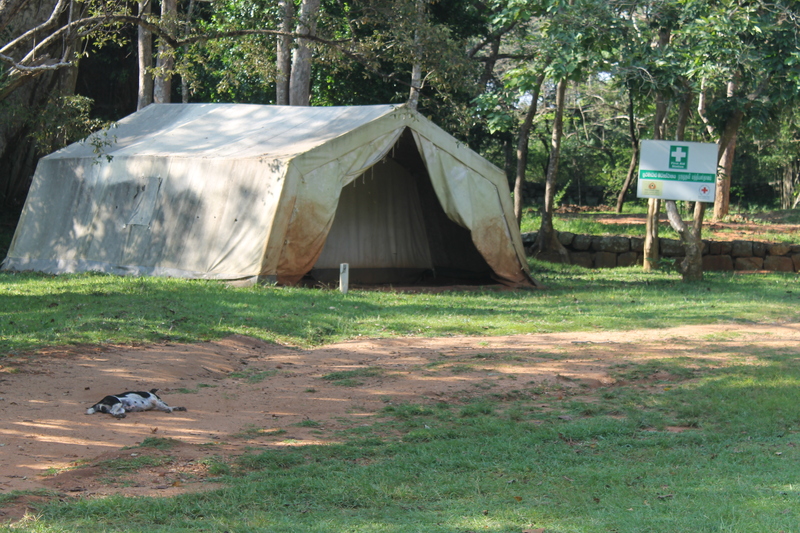 It’s never a good sign if there are multiple tents like this one before the ascent, right? Even the dog is exhausted just by the thought. So, I’m afraid of heights, but I’ve figured out a way to conquer it. 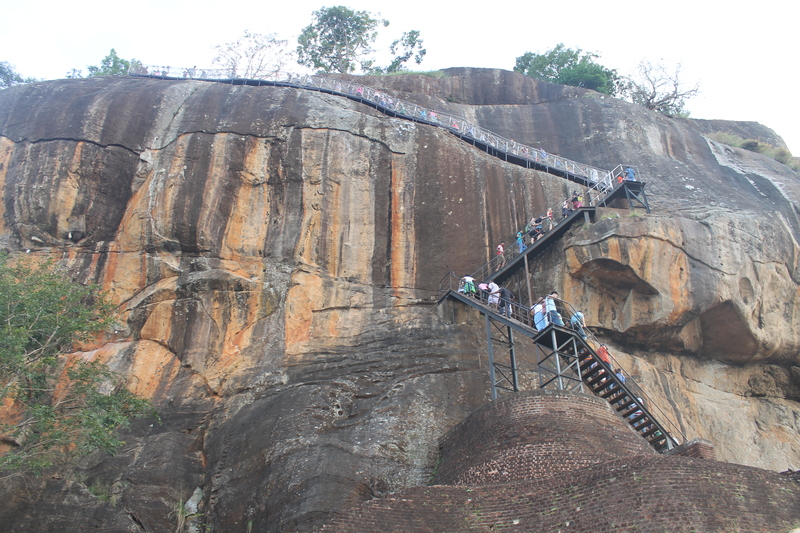 Be exhausted, having already climbed many things that day, so that you’re so tired by the time you reach this stairway from Hell, you actually couldn’t care less any more if you fell to your death or not. 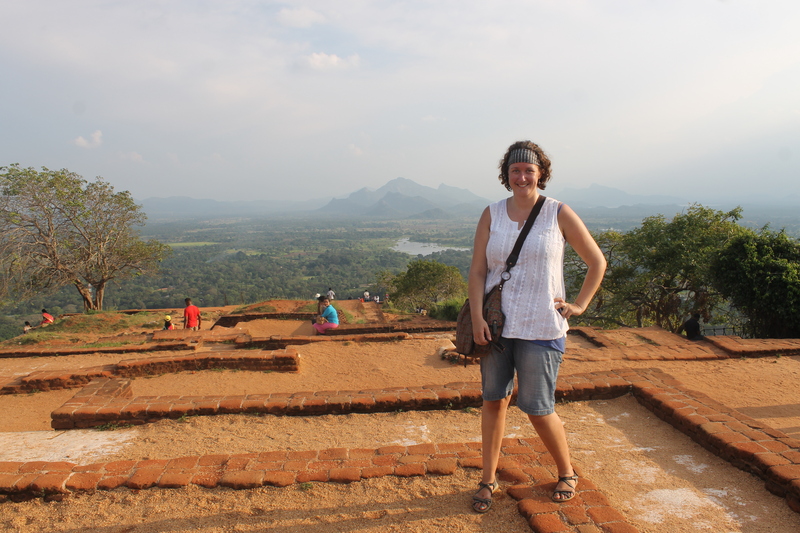 Proof I made it to the top of Sigiriya! My leg is at a weird angle, methinks, b/c (a) I was having a low blood sugar moment due to not having eaten since breakfast (and this was 5pm) and (b) not having enough water with me, therefore dehydrated and seriously considering stealing the water out of the hands of the tiny child monks nearby. Posted on April 21, 2015, in Sri Lanka. Bookmark the permalink. Leave a comment.